There are an abundance of pathogens and bacteria that consumers must face on a daily basis, and in many cases our immune systems are up to the challenge. However, even some of the most innocuous microbes can be dangerous – or even fatal – under certain circumstances. 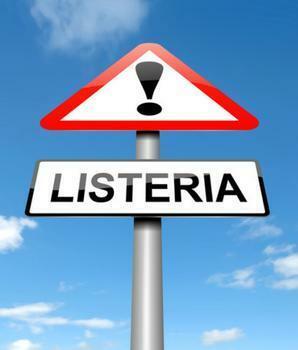 Listeria monocytogenes, for example, is a common food-borne organism that can pose great harm to consumers who ingest it. Those with compromised immune systems, such as young children and the elderly, can have fatal reactions to it, but even healthy consumers can suffer from symptoms like high fever, severe headache, stiffness, nausea, abdominal pain, and diarrhea. Up until now, experts believed that the bacteria could also cause miscarriages or stillbirths in women who were late into pregnancy. But a new study from the University of Wisconsin-Madison shows that women in early pregnancy can be similarly affected. "For many years, listeria has been associated with adverse outcomes in pregnancy, but particularly at the end of pregnancy. What wasn't known with much clarity before this study is that it appears it's a severe risk factor in early pregnancy,” said physiologist and researcher Ted Golos. Researchers discovered the threat after conducting a study involving listeria and pregnant rhesus macaques at the Wisconsin National Primate Research Center. The primates were fed doses of listeria comparable to what a person may be exposed to in contaminated food to see what effect it had on pregnancy. By tracking the progression of the contaminants, the researchers were able to pinpoint how and when it affected the fetus. Though the macaques showed no obvious signs, each subject’s pregnancy ended abruptly after the microbes reached the reproductive tract. The researchers found that the listeria microbes had infected the mothers’ placenta and led to fetal demise. “In that region, there’s a rich population of specialized immune cells, and it is exquisitely regulated. When you introduce a pathogen into the midst of this, it’s not very surprising that it’s going to cause some sort of adverse outcome disrupting this balance,” explained UW graduate student Bryce Wolfe. “It should be a barrier. . . but we’re hypothesizing that the maternal immune system’s attempt to clear the bacteria actually results in collateral damage to the placenta that then allows the bacteria to invade the fetus,” added Golos. So, what does this mean pregnant women? The researchers say their results point to listeria being a culprit in many miscarriages that have thus far gone unidentified. Currently, pregnant women are warned to avoid foods like unpasteurized milk, soft cheese, raw sprouts, melon, and deli meats due to potential listeria contamination. But the study shows that perhaps even more caution should be taken throughout pregnancy due to the bacteria’s speed and stealth at harming an unborn fetus. “It’s striking that mom doesn’t get particularly ill from listeria infection, but it has a profound impact on the fetus,” said Golos. “There are effective antibiotics available. It is treatable. The issue is that because it’s asymptomatic, the fetus may be infected by the time anyone realizes that mother was infected,” added Wolfe. The researchers plan to continue working with listeria in order to better understand how it infects the human reproductive tract, how long its incubation period is, and what other problems it causes that lead to miscarriage. They hope that the knowledge they gain can be used to help protect women from all types of pathogen infection in the future. The full study has been published in mBio.